Michael ‘Misha’ Goro was born in St. Petersburg, Russia where he received his B.A. 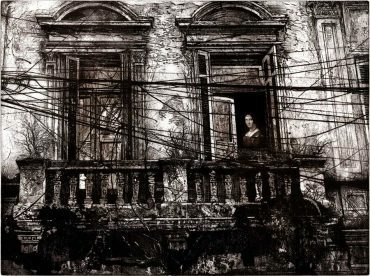 in architecture. 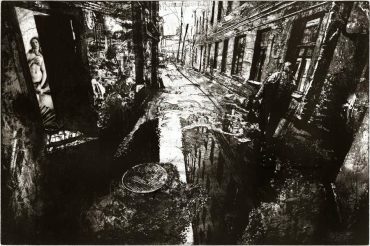 In 1990 he immigrated to Jerusalem, Israel where he discovered intaglio printmaking and began to use it as his main medium. 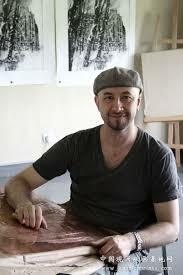 In 1993 he moved to the U.S. and completed his education, receiving M.F.A. in printmaking at the University of Illinois at Urbana-Champaign. In his current capacity as a chair of the Graphics Department at the American Academy of Art in Chicago, he has been developing the programme and teaching in it for the past eight years. 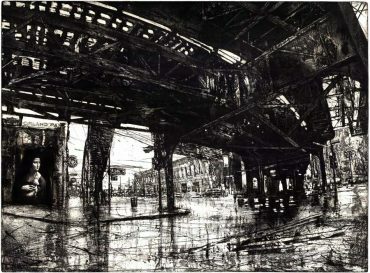 His works can be found in private and public collections worldwide and have received a number of prestigious international awards in Japan, Korea, China, Europe and the USA. 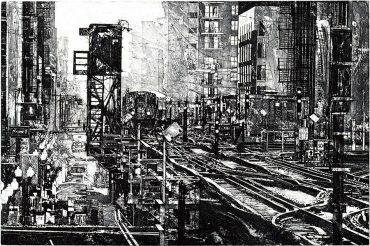 He describes his art as a “continuous creative search for raw authenticity in urban environments and human forms that are constantly changing.” Utilising the full spectrum of printmaking techniques, ranging from Renaissance engraving to digital photogravure, he shares his unique personal experiences through imaginative imagery.